So here's the challenge. When your system reboots -- possibly after a power failure or (more commonly) because of a Windows security update -- you need the Alpha Application Server to start running again automatically. 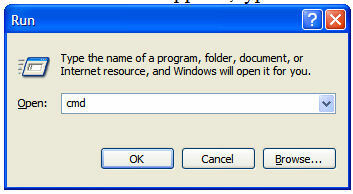 Any easy way to do this is to put the program in your startup folder. Whenever you log in, Windows looks in your startup folder and runs whatever is there. But what if you haven't logged in? Let's say your machine requires a username and password to log in and you're not around to enter it? What then? This is especially important if you are using a dedicated server or a virtual private server where using a log in is mandatory. The answer is to run the Alpha Anywhere Application Server as a service. Unlike the programs you have listed in the Startup menu, programs that are run as services will automatically load whenever the PC is rebooted. Install the Alpha Anywhere Application Server. 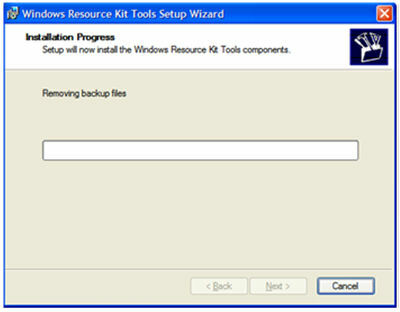 Install the Windows Server 2003 Resource Kit. Use the resource kit to create a new service. 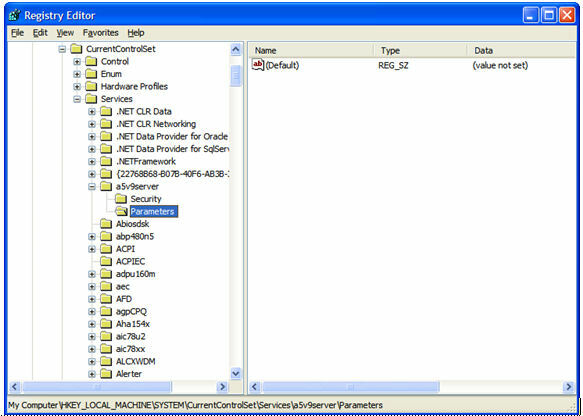 Use the registry editor to configure Alpha Anywhere to run as that service. You will need: (1) A serial number for the Alpha Anywhere Application Server (2) An Internet connection. If you purchased a license for the Alpha Anywhere Application Server, then the download link to the software should be in the email. Install the Alpha Anywhere Application server. Then once installed, run the program. 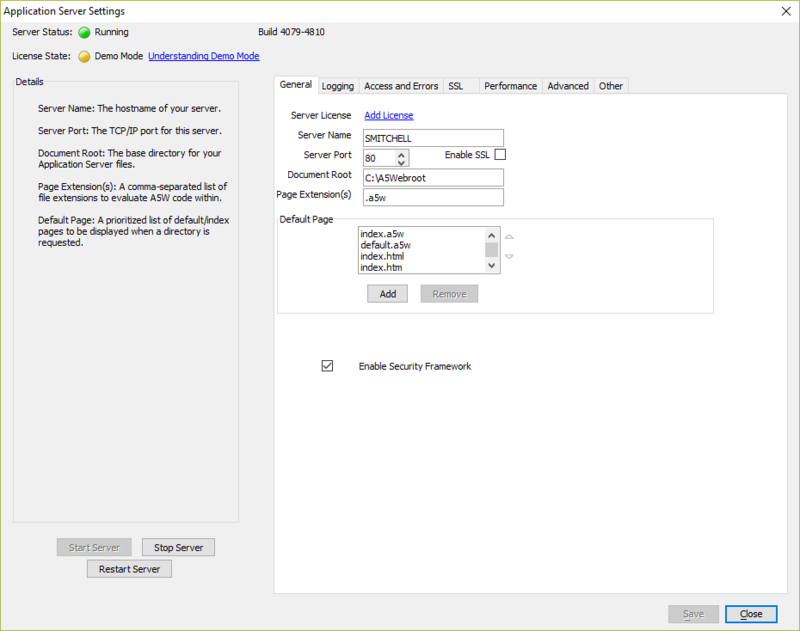 The Application Server Settings dialog box appears. Make sure you check the box that that says to Automatically start the Server. The Alpha Anywhere Application Server and Alpha Anywhere Development Environment must have the same build number. If the build numbers do not match, published web applications may fail to run properly. The build number is always listed on the download page for the Application Server and Development Environment. To determine the build number from within the Alpha Anywhere Development Environment, open the Help menu and select About Alpha Anywhere.... The build number is listed as part of the Version information. 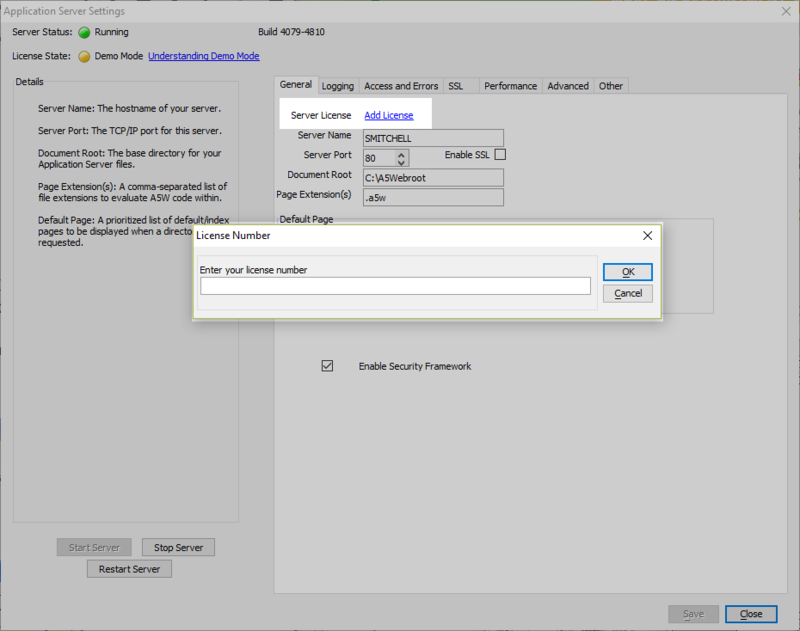 To determine the build number for the Alpha Anywhere Application Server after it is installed, open the Application Server Settings. The build number will be located at the top of the window next to the server status. Then click Add License link on the General tab and enter your license number. Once it is entered, click the Activate button to activate it. 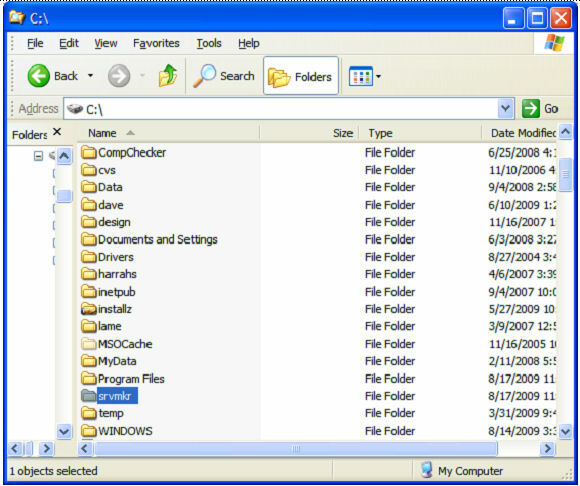 Download a copy of the Windows Server 2003 Resource Kit Tools from the Microsoft website. The link can be found here: http://www.microsoft.com/Downloads/details.aspx?FamilyID=9d467a69-57ff-4ae7-96ee-b18c4790cffd&displaylang=en Once downloaded, run the software to install it. 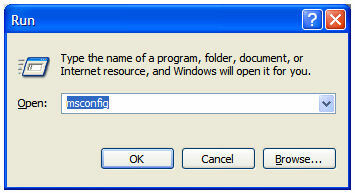 When that is created, go to installation path for the Resource Kit you installed. 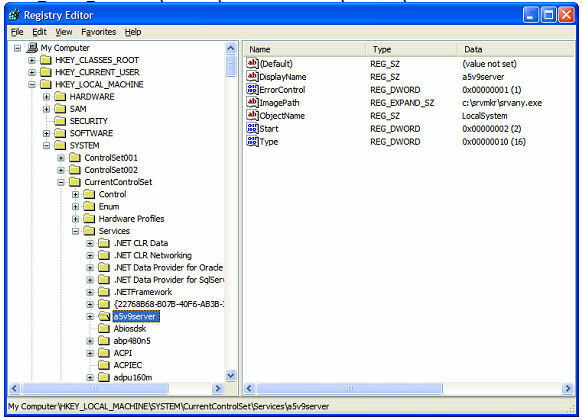 If you chose the default path during installation, then look here: C:\Program Files\Windows Resource Kits\Tools Now we need to find two files that were installed with the resource kit, they are: instsrv.exe and srvany.exe Copy these two programs and paste a copy of them in the SRVMKR folder you created earlier. From the Windows Start menu choose Run. 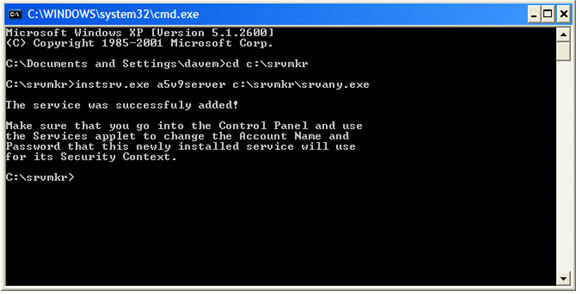 When the Run box appears, type CMD and click OK.
Open the registry. From the Windows Start menu, choose Run. Then type REGEDIT and click OK. 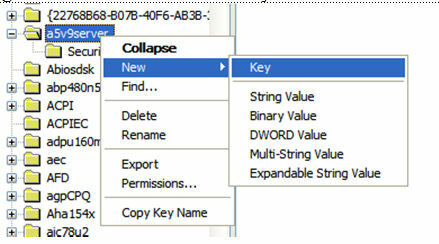 Right click on the Parameters key and choose New > String Value. And name the new string Application. 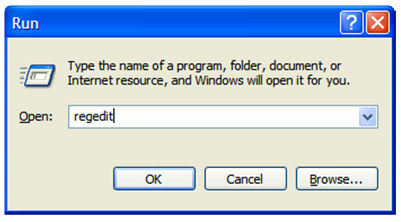 Now right click on the Application string and choose Modify. The Edit String box appears. In theValue data: box, enter the Path and executable name for the Alpha Anywhere Application Server. 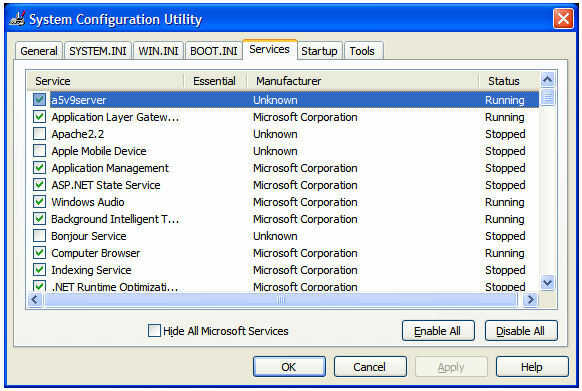 When the System Configuration Utility appears, click on the Services tab. You should see A5ApplicationServer, and it should be listed as running. You've done it! Whenever your PC reboots -- even if you don't log in, the Alpha Anywhere Application Server will run. (c) 2009, 2010 Dave McCormick and Alpha Software. With thanks to Jim Dusoe.